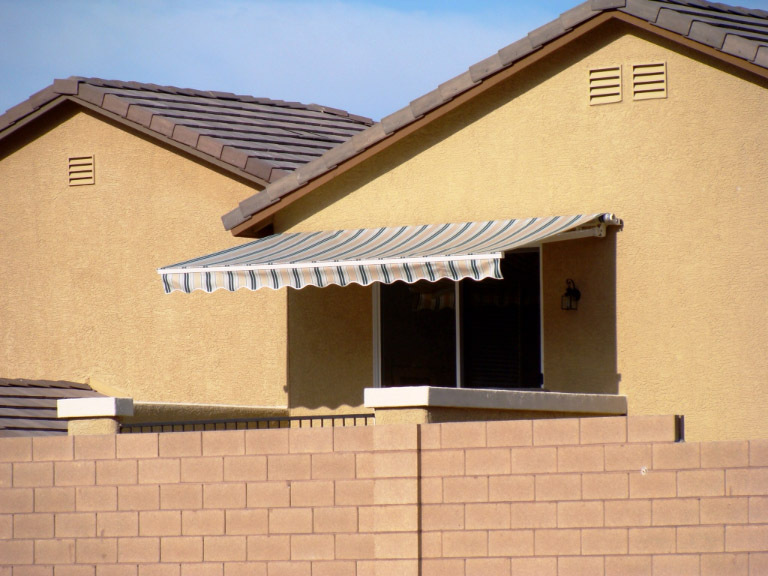 We will explore six ways that a residence benefits from having residential awnings installed on their property. 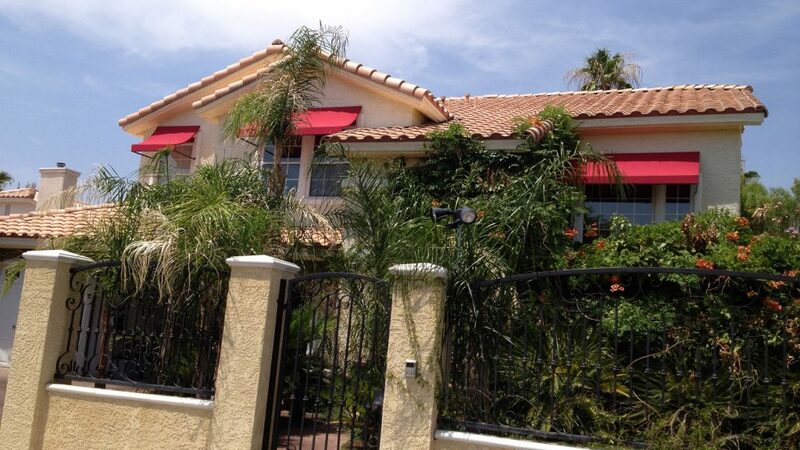 At home, the return on investment is important too. 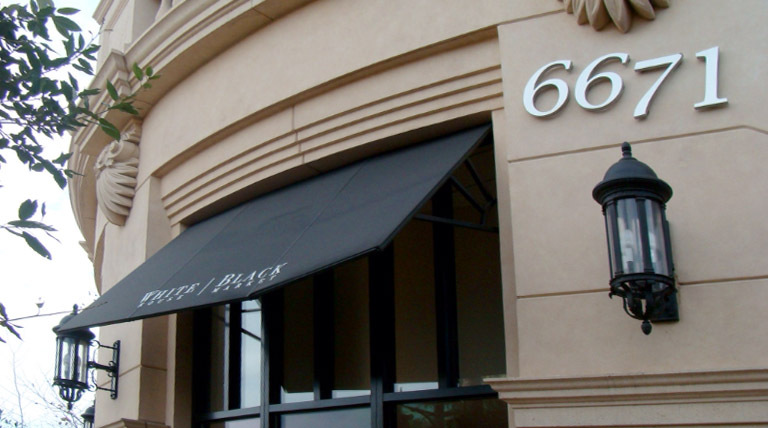 Metro Awnings & Iron understands this principle. 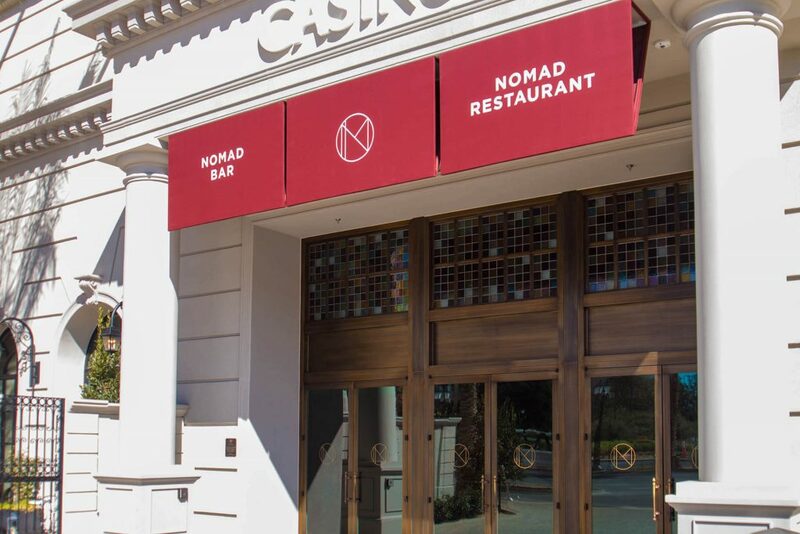 We have compiled a list of six ways that a residence directly benefits from having awnings and canopies installed on their property. * Energy efficiency and heat reduction. * UV protection for family and pets. 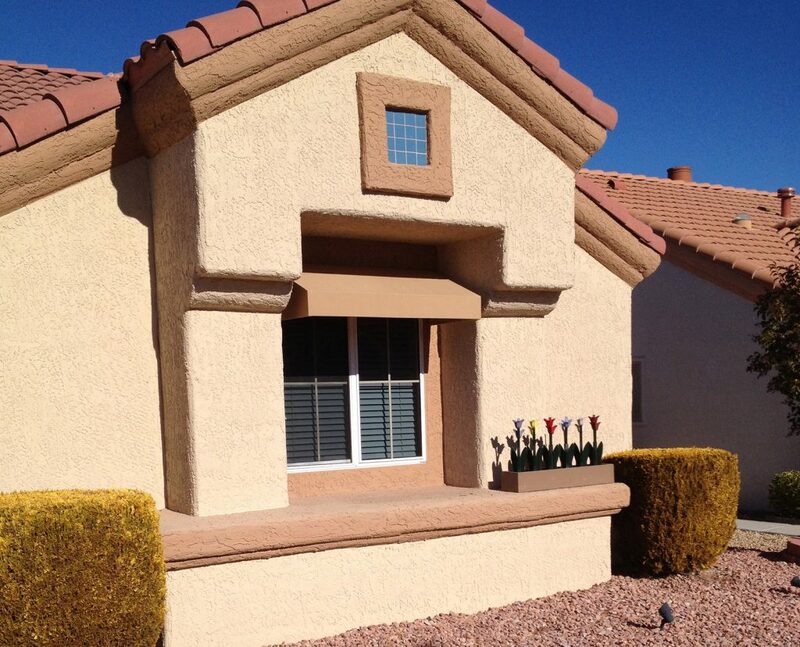 In Las Vegas, a family knows how fast the desert sun can blind, burn, and annoy family members and visitors. 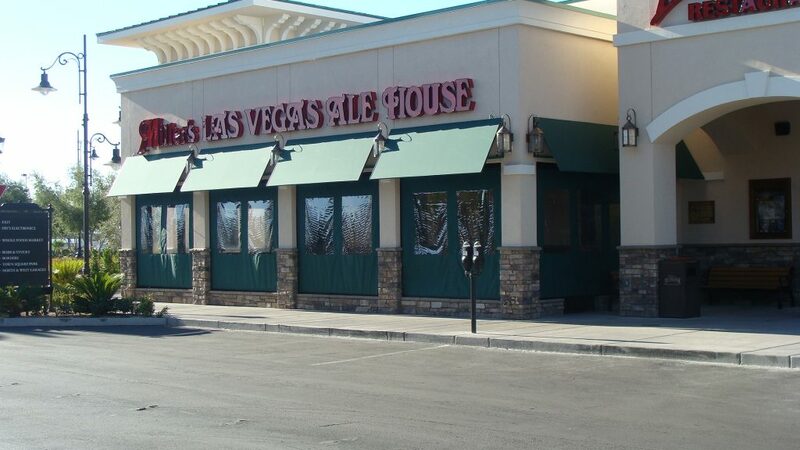 Everyone in Southern Nevada has found themselves inside a property without window protection. 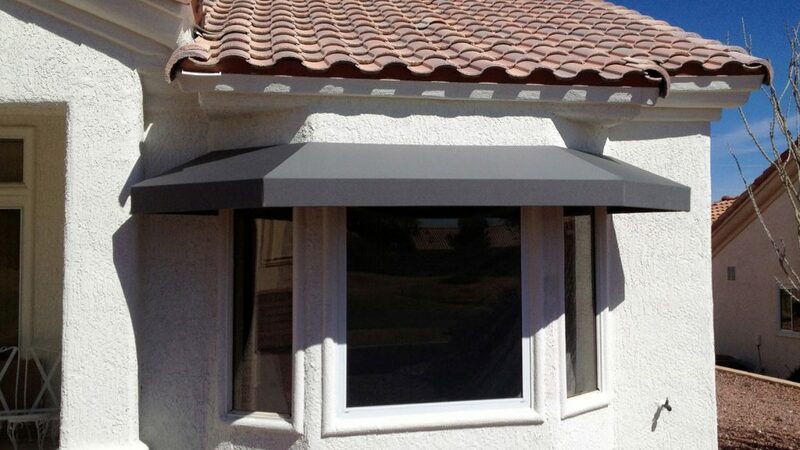 Installing window awnings can reduce UV exposure and significantly add to the quality of life for family and pets alike. * UV protection for interiors and furniture. 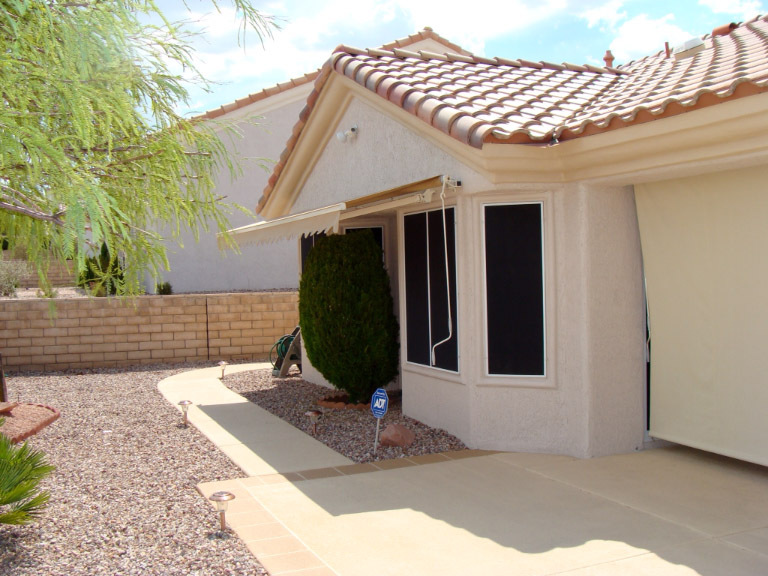 In Las Vegas, a homeowner quickly learns how fast the desert sun can adversely affect property interiors and furnishings. 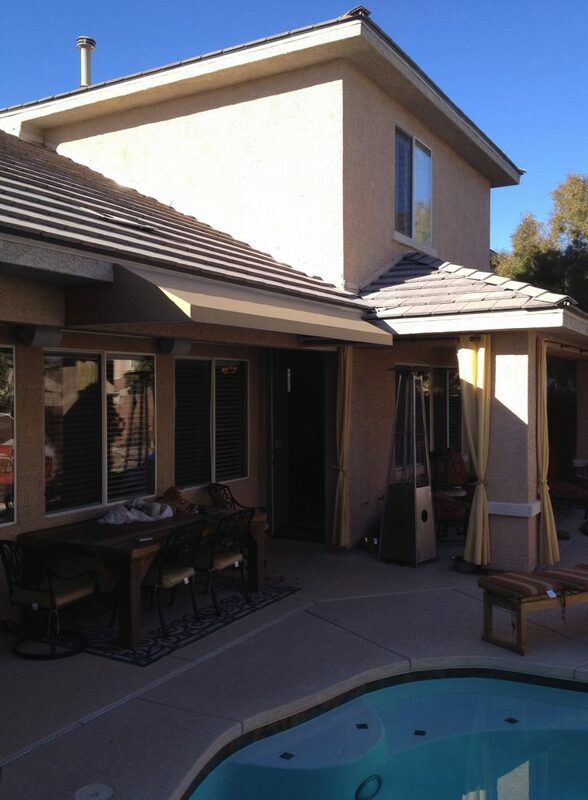 Curtains, blinds, flooring, equipment, and furniture alike can soon fade, dry out, and rot when exposed to harsh UV light. 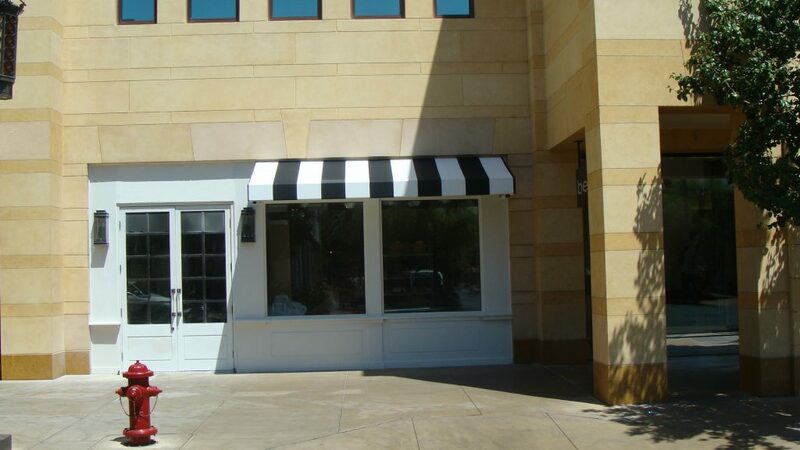 Installing window awnings can reduce UV exposure and add years of longevity to property and materials. 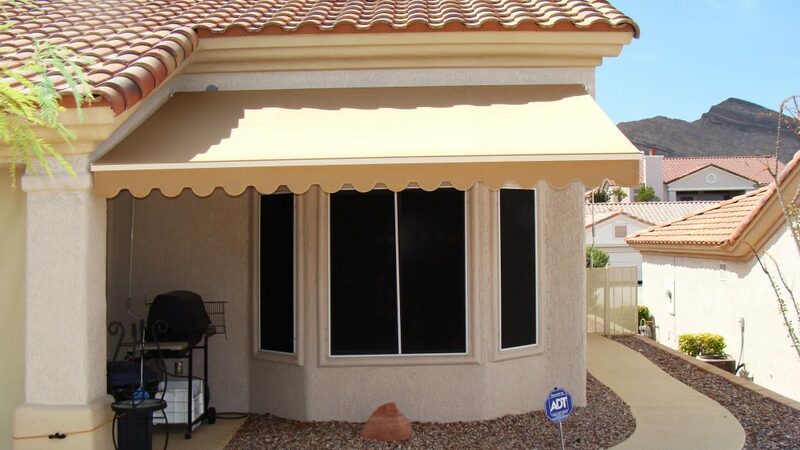 Having awnings and canopies installed provides comfort, shade, and weather protection to family, friends, and visitors. 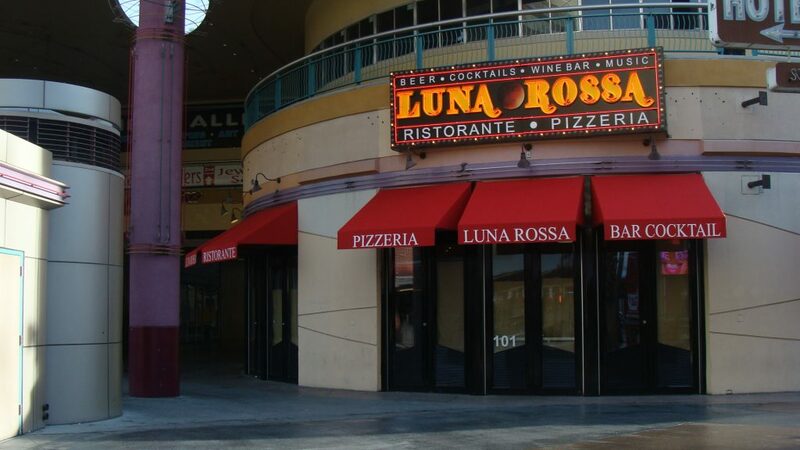 Las Vegas at any season can experience harsh UV rays, wind, and rain. 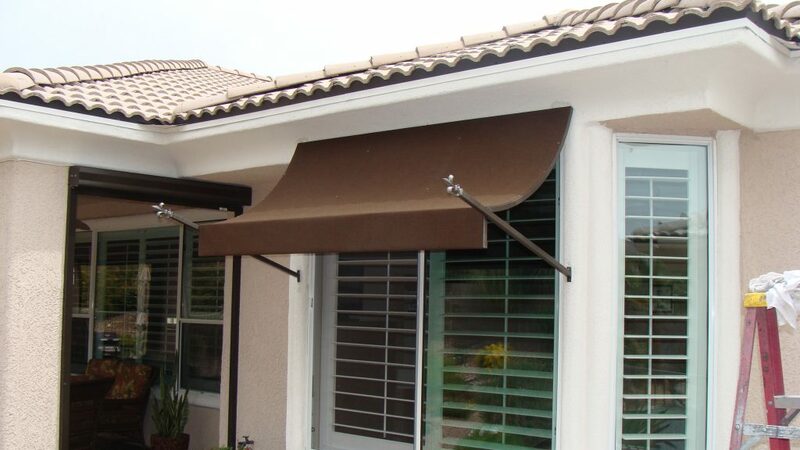 The addition of custom awnings and canopies can significantly improve the living experience. 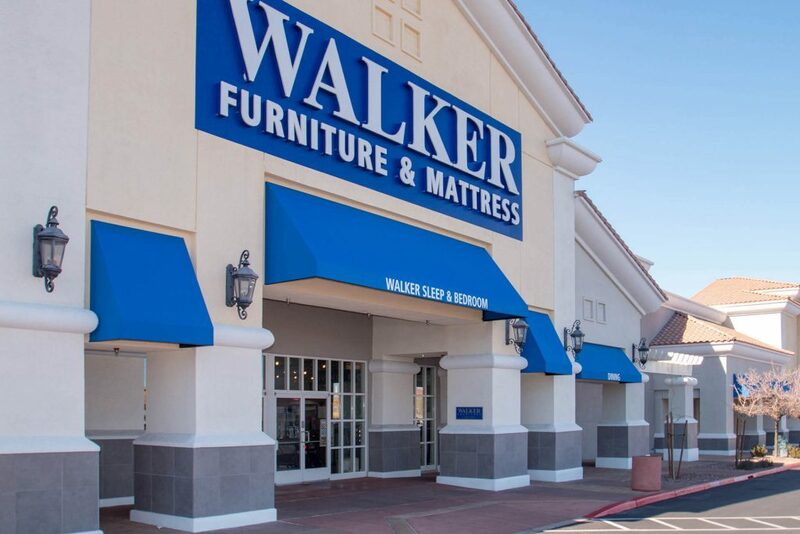 Modern fabrics have a seemingly endless array of colors, textures, and styles to choose from. 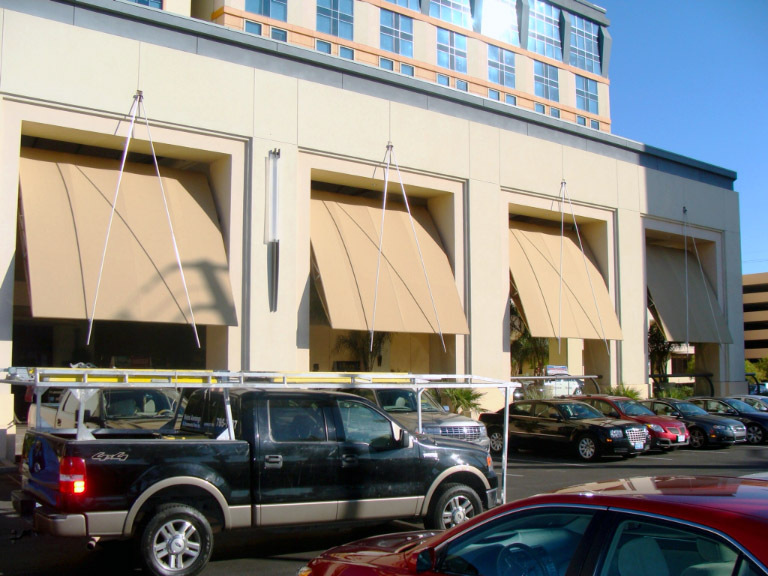 Metro Awnings & Iron uses industry-leading Sunbrella fabrics which are Made in the USA! Modern fabrics last longer than ever. 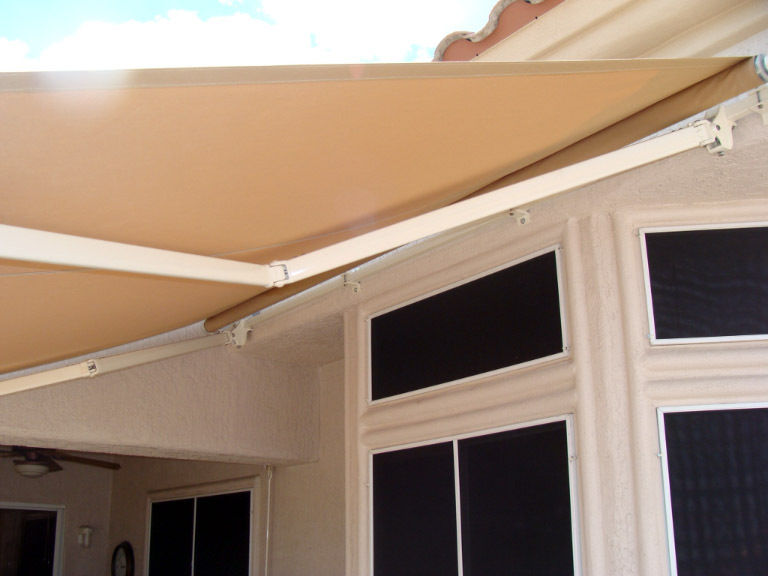 Breakthroughs in awning fabric and upholstery technology have given an edge to Sunbrella fabrics. 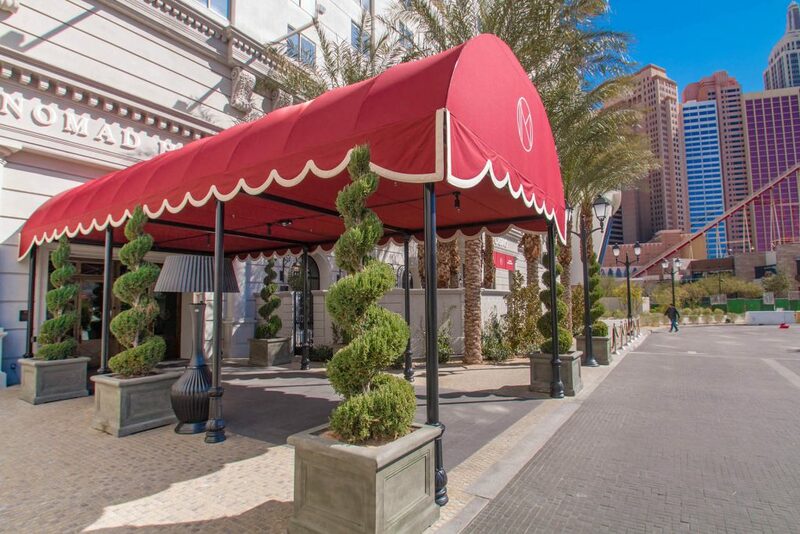 Metro Awnings & Iron uses industry-leading Sunbrella fabrics that have an industry-leading 10-year warranty against fading and wear. 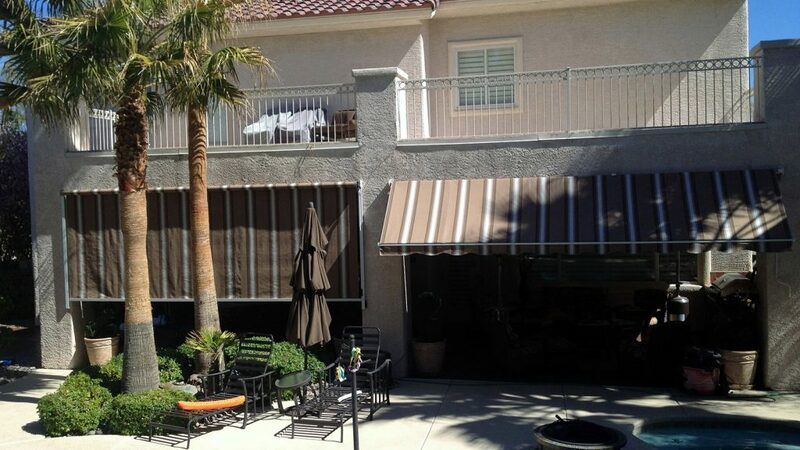 There has never been a better time to capitalize on a great opportunity and talk with the experts at Metro Awnings & Iron in Las Vegas, Nevada about what they can do for your home. 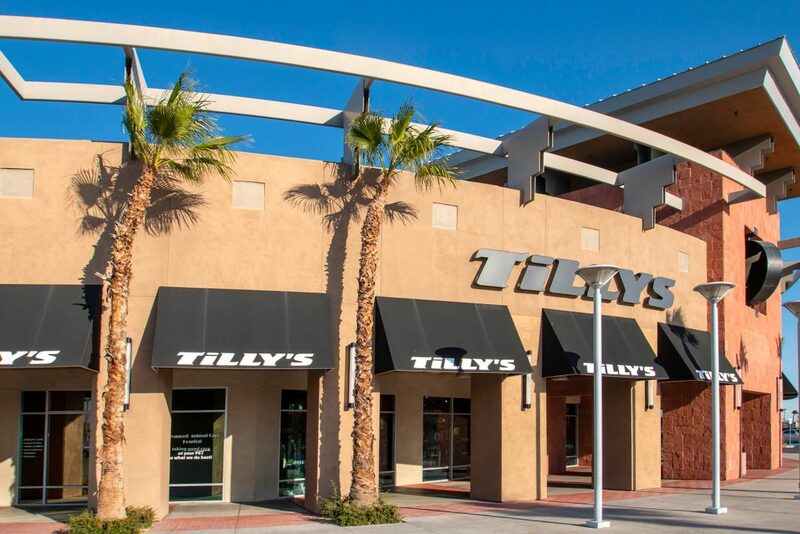 Call us at (702) 795-7787.